My favourite room at the Loro Piana facilities was the first one they took us too: a vast warehouse, 50 metres or so high and stretching perhaps a hundred off into the distance. We stood on a metal viewing gallery about halfway up, watching a mechanised robot scoot along and up to coordinates that had been punched in by a researcher outside. He came back with a small plastic crate full of cones of cashmere yarn. The warehouse contains over 250,000 kilos of the stuff. 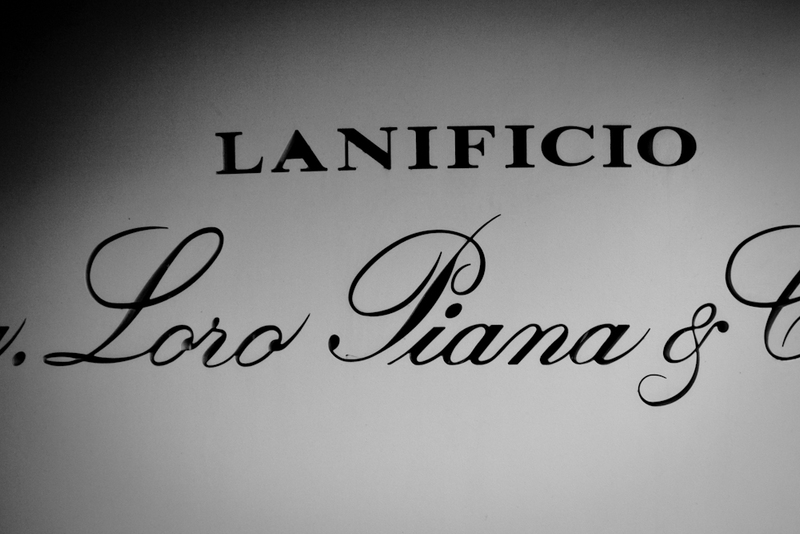 We saw three different arms of the Loro Piana operations in and around Quarona, northern Italy. In Quarona is the corporate headquarters, including archive books of bunches going back to pre-World War One, and all the finishing and quality control for woollen and worsted cloths. In Roccapietra the woollen yarn spinning is done, and you see the big bags of fluffy cashmere that come in, the 40-metre-long machine that combs it into yarn and the state-of-the-art laboratory that scrutinises its purity. Finally, in Sillavengo, a wholly-owned subsidiary does all the knitwear production (that’s them with the tube lights, doing a bit of quality control). It was great learning how knitwear is made – and therefore why it is so hard to alter. It was great seeing how rough cashmere or even vicuna is until it is brushed – often still with dried thistles, incongruously. And it was interesting to learn how fly-away wool is spun into something that doesn’t just pull apart like candy floss. But in the end looms are looms. 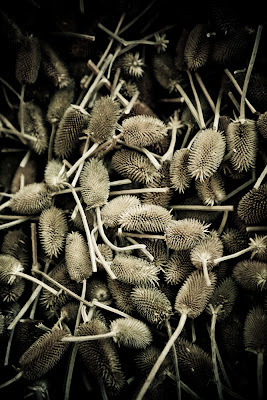 Most of this is not that different from any other high-end weaver, mill or knitwear producer. 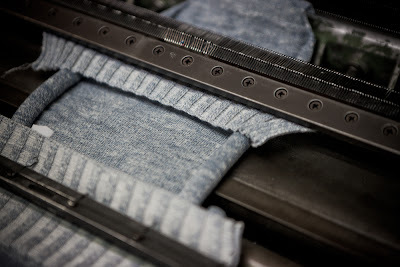 What makes Loro Piana so fascinating to visit is the scale and the innovation. 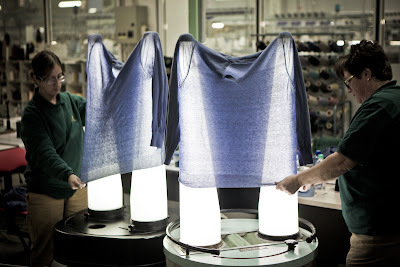 You have to experiment with an awful lot of cashmere combinations before the cheapest storage option is a futuristic warehouse ruled by a cone-sorting robot. Quality has to be a really important selling point before you fund a laboratory with six people pulling, twisting and magnifying cashmere hairs to make sure the suppliers are giving you the very best. 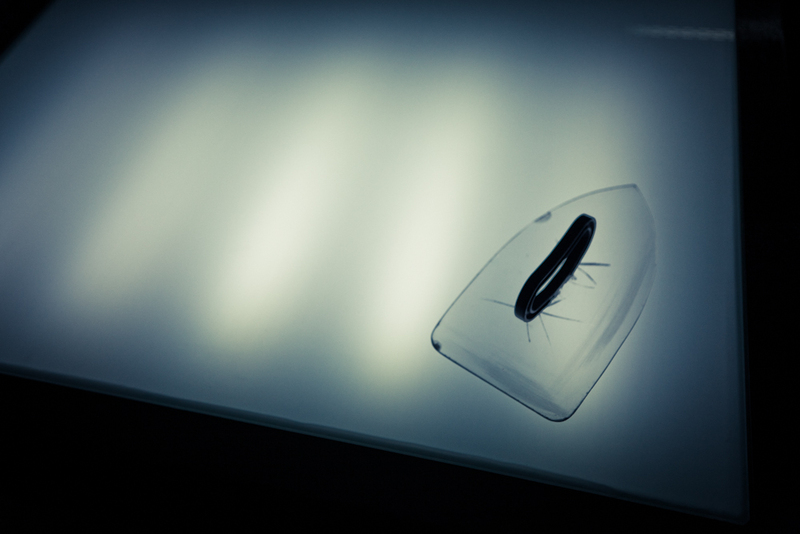 At the other end of the scale, innovation in new materials often requires a lot of time and money for very little output, at least initially. This thread starts with Tasmanian wool in the 1970s (effectively the first branded cloth), through vicuna (LP was granted 10-year exclusivity to effectively save the camelid from extinction), baby cashmere (one hyrcus goat produces just 30g of the stuff in the first year of its life) to, most recently, lotus flower cloth. At the moment LP is producing 50 metres of it a month. 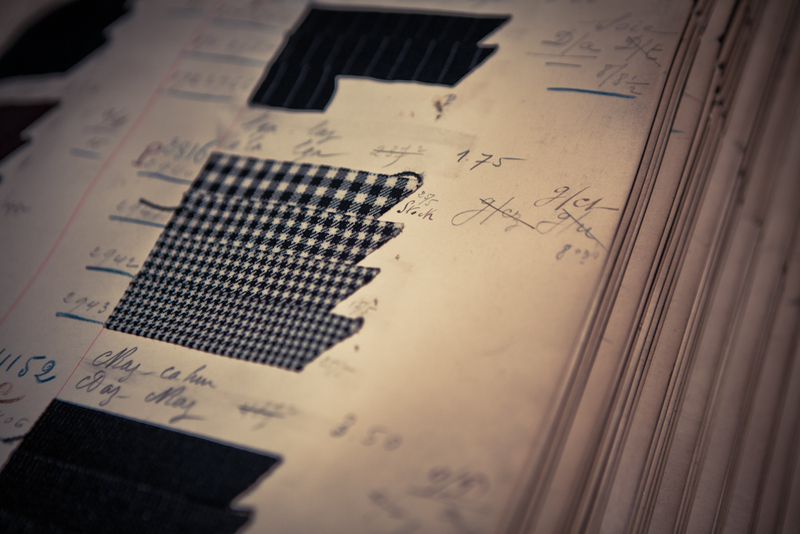 It is using that to make 10 made-to-measure jackets around the world. 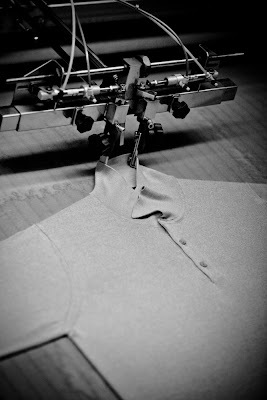 You can follow the discussion on Loro Piana: Quarona factory visit by entering your email address in the box below. You will then receive an email every time a new comment is added. These will also contain a link to a page where you can stop the alerts, and remove all of your related data from the site. Great post. Would like to go on these tours myself. Until then, please keep them coming. Thank you. Thanks Tim, really pleased you liked it. I do like seeing things are really made. Many thanks for this. I am already a fan of Loro Piana having bought some beautiful bespoke cashmere and wool trousers from their London shop. I will definitely be visiting Quarano when I am in the area. I am already a fan of Loro Piana having bought some beautiful bespoke wool and cashmere trousers from their London shop. Your very useful and informative post means I will definitely be visiting Quarona when I am in the area. This is a great article, thanks for the information! I’ve been trying to contact the PR team in Milan about setting up a visit for a group of fashion students. Do you have any suggestions on what would be the best way to contact them? Apart from the PR email on the Loro Piana website? 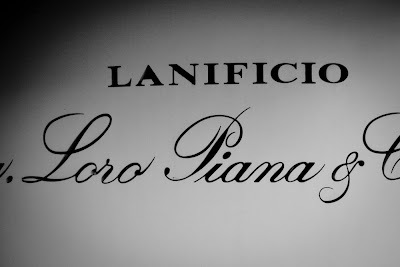 loro piana Garne. And is it possible of finding a producer to produce a small cashmere collection. ?